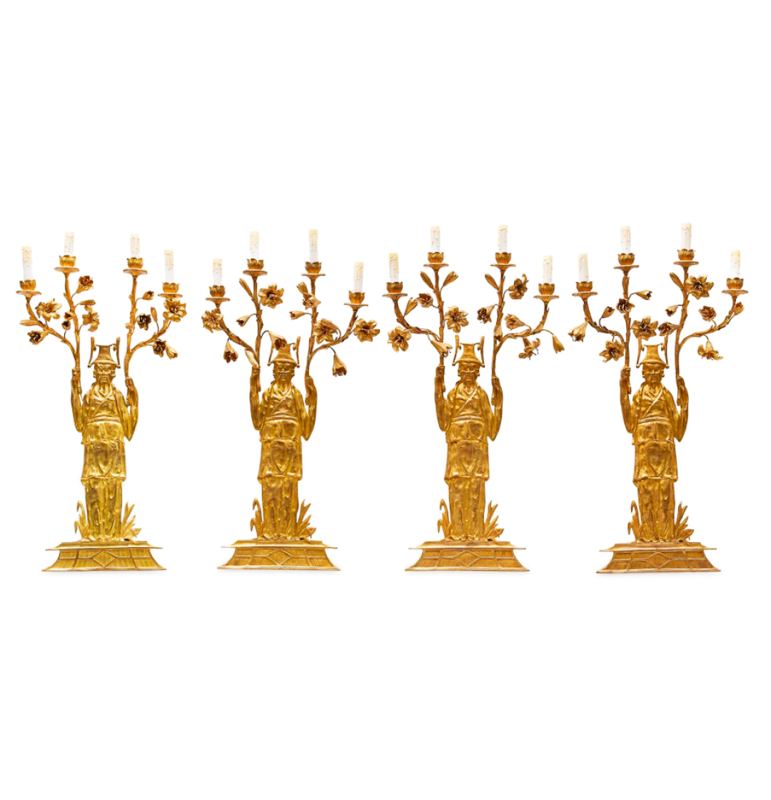 Set of 4 Bronze Chinoiserie Sconces – Set of four gilt bronze Chinoiserie four light wall sconces. France. 1930-1940.